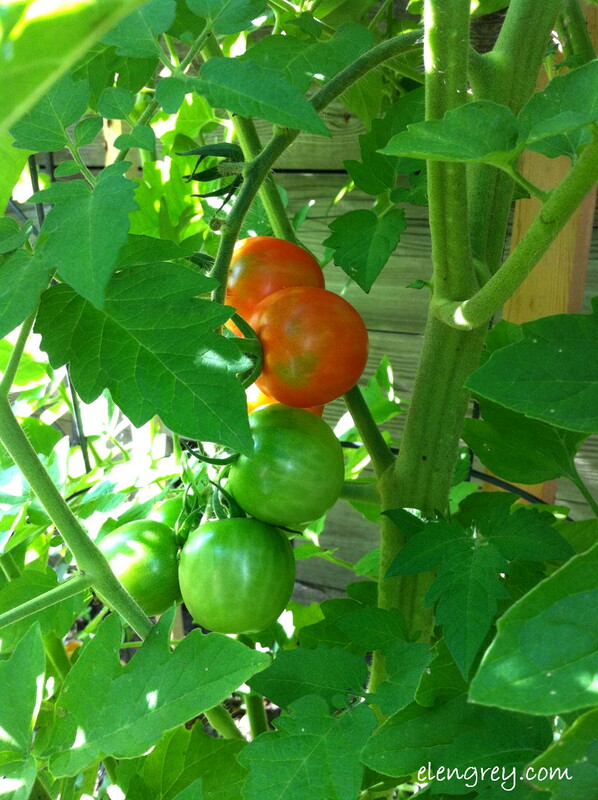 Who’s ready for some fresh garden tomatoes? This is Chadwick’s Cherry — The Chad — cherry tomato. I first wrote about it here. It was my first attempt at growing from seed, so check it out. I have a passion for cookbooks. Even though one can Google just about any food item and find tons of recipes online… I buy cookbooks. I especially love cookbooks that have some sort of narrative. Something about how the book came to be, something about the country the cooking is coming from, something about the cook. I’m not a just the recipe, please kind of cook. I like to wander through a cookbook like I’m on a road trip. I want the origin story. I want the beautiful images on every other page. Culling them for a future downsizing is difficult. Any other cookbook collector-hoarders out there? What’s your most prized cookbook? It’s okay to say I keep cat food in my oven! The above image was taken in August of 2014 in my garden. Boom!